Employers and business owners trust and rely on Joy Einstein’s legal counsel when it comes to their employment policies, practices and preventative measures designed to avoid costly litigation. Employers with unionized work forces rely on Joy’s legal counsel to handle unionization campaigns, unfair labor practice charges, CBA negotiations, strikes, and grievance and arbitration procedures. Clients and peers benefit from Joy’s ability to design and clearly convey legal solutions that are optimal for and specific to the circumstances at hand. Clients also praise her responsiveness, flexibility, ability to help them at a moment’s notice, and her dedication and persistence in reaching the most favorable outcome possible. A shareholder in the Firm’s Employment & Labor Practice Group, Joy counsels employers concerning employee misconduct, workplace harassment, compensation and leave issues, and represents employers in litigation involving discrimination, sexual harassment, wage and hour claims, non-competition and non-solicitation covenants, and breach of contract. She also reviews and drafts employee handbooks. When litigation is unavoidable, Joy vigorously represents clients before federal and state courts, and before administrative agencies including the EEOC and state and municipal human rights commissions. She also represents employers in labor union matters, including collective bargaining negotiations, unfair labor practice charges, and union representation proceedings before the National Labor Relations Board. 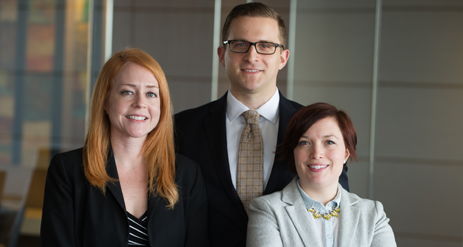 Also in the litigation arena, Joy is adept at defending credit reporting agencies in FCRA litigation, and defending housing providers against housing discrimination and public accommodation discrimination claims initiated by regulatory agencies and private litigants. Joy earned her J.D. from William & Mary’s Marshall Wythe School of Law. 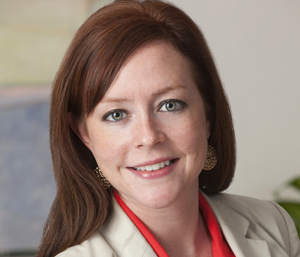 Prior to joining the Firm, she was an associate at a large law firm in West Virginia where she practiced labor and employment law as well as general litigation. Joy also spent a year clerking for Judge James E. Seibert in the Northern District of West Virginia. She is a member of the District of Columbia, Maryland, Virginia and West Virginia bars. Settled wage and hour class action claims on favorable terms, saving the employer from having to declare bankruptcy. Defend employer against EEOC charge, resulting in determination that no reasonable cause existed to believe discrimination occurred after a petition was filed with the NLRB. Represented employer in union organizing campaign, resulting in an employee vote against unionization. The vote was upheld on appeal. Represented employer in unfair labor practice charge proceedings related to employee terminations. NLRB upheld the employee terminations. Achieved summary judgement dismissing lawsuit by former employee claiming he was owed payout for accrued but unused vacation and other leave benefits upon termination of employment. Won motion to dismiss Fair Credit Reporting Act claims brought by consumer. Defended apartment complex management company against housing complaint filed with Maryland Commission on Civil Right and HUD.